Nine photos of the famous terminus in the BR blue era. 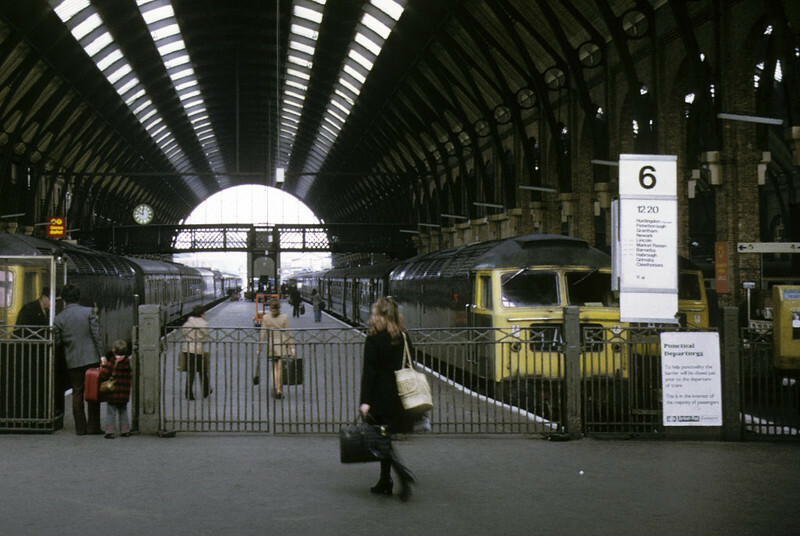 King's Cross, 13 April 1974 - 1149. Passengers board the 1220 to Cleethorpes. NB the yellow platform ticket machine at far right. Photo by Les Tindall.